Ready for an easy to operate, quick service barbecue restaurant that generates great profits? Headquartered in Dallas, Texas, Dickey's Barbecue Restaurants have been serving up some of the most mouthwatering, lip smacking, great tasting barbecue since 1941. Today, Dickey's are opening up all over North America. It's simple: we want to find the right Owner/Operator first. Second, we use our site selection model to find the right location. Then we assist every step of the way in building a great restaurant and setting our operators up for success. 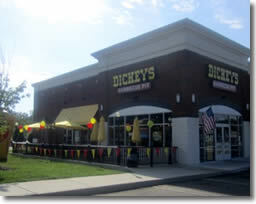 Dickey's has evolved over the years, changing the public's perception of barbecue and taking the category mainstream. The Dickey's restaurant concept is authentic, inviting and well planned. We aim for 1,800 sq. ft. end-cap or free standing locations to maximize the profitability of our stores. Each new Dickey's Owner/Operator will take advantage of the decades of experience, improvements and upgrades, attention to detail and the high quality standards established and maintained by the Dickey family. Please note interested parties should have at least $50K to invest. 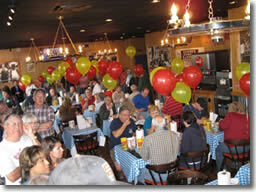 Click on Request Information for FREE info on how to open a Dickeys Barbecue franchise today! Please Note: This Dickey's Barbecue franchise opportunity and other franchise business opportunities, businesses and franchises for sale on this web site are not to be considered as an "offering", "franchise offering", suggestion or recommendation by Franchise Leader™. This advertisement depends entirely on the truthfulness of the information provided by our advertisers which includes, but is not limited to, franchisers, franchise brokers, franchise consultants and business brokers. Franchise Leader™ recommends that you consult a lawyer, financial consultant, accountant or professional advisor before buying a franchise or business opportunity or any type of business. By using this form or any part of our website, you have agreed to all terms and conditions of Franchise Leader™. Please review our Terms & Conditions for more information.